The popular messaging company Slack released updated diversity statistics today, showing above-average numbers for women and minorities in its overall workforce, but poor racial diversity on its executive rung. The release included a federally mandated report that Reveal from The Center for Investigative Reporting has been pressuring Silicon Valley companies to make public. It was the first time the company, valued at $5.1 billion, had made its EEO-1 report information public, after Reveal pointed out flaws in its diversity reporting last year. Almost half of Slack’s workforce – 44 percent – were women. That’s much higher than the average for large tech companies in Silicon Valley, which was 30 percent in 2016, according to Reveal’s analysis. In 2017, 12.9 percent of Slack’s professionals, managers and executives were either black or Latino, much higher than its Silicon Valley peers at 7.8 percent in 2016. But the report shows that the company has work to do when it comes to racial diversity in its executive ranks. Four out of eight executives there were white men, two were white women and two were Asian men. There are no Asian, black, Latina or biracial women in leadership, according to Slack’s report. A Slack spokesman said in a statement that the company decided to release its EEO-1 report in addition to other diversity metrics as part of its efforts to improve. “We are a young, growing company and are working to put the rigor, discipline and processes in place to be able to track, analyze and report consistently every year,” the statement said. 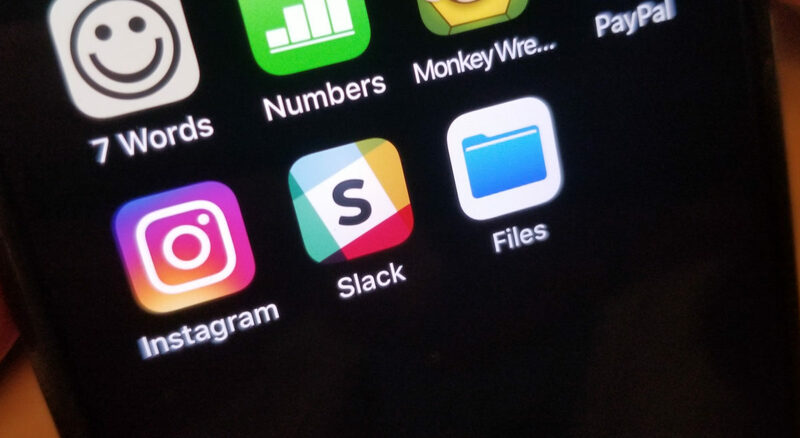 Reveal’s investigation last year pointed out that Slack had released diversity reports with pie charts and percentages but without the underlying official raw numbers. The investigation also pointed to problems with how the company calculated its numbers using internal anonymous surveys. With the addition of Slack, Reveal has published EEO-1 reports from 24 large tech companies that have made their data public. However, many others, such as Tesla, Palantir and Oracle, release very little or no data about their workforces. Reporter Will Evans contributed to this story. Sinduja Rangarajan can be reached at srangarajan@revealnews.org. Follow her on Twitter: @cynduja.